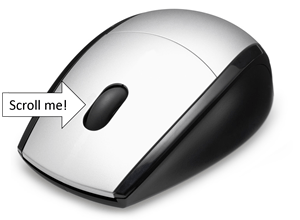 Most mice have a wheel and you can use it in a number of ways — scroll it in 2 directions, click it, and double-click it. Plus, you can combine keys such as the Shift key with the mouse wheel to get even more capabilities. 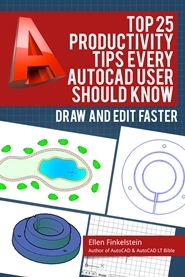 AutoCAD makes good use of your mouse wheel. Here are some of the options. 3 system variables affect how your mouse wheel works. ZOOMFACTOR: This system variable sets the amount of magnification change that occurs when you scroll the whell forward or backward. You can choose from 3 to 100 and the default value is 60. A higher value changes the magnification more. ZOOMWHEEL: This sets the direction of the scrolling. By default, this is set to 0, which means that when you scroll the wheel forward you zoom in and when you scroll it backward, you zoom out. If you set the value to 1, you reverse the action. Most people change this setting when they have other software that works the opposite of the AutoCAD default and they want the zooming to be the same in all their software. MBUTTONPAN: By default (set to 1), when you press the mouse wheel and drag, you pan across your drawing. However, when you set this system variable to 0, the wheel acts like a middle button and supports the action that you define in the CUI or CUIX menu file, which could be just about anything. Here are the actions you can perform when MBUTTONPAN is set to the default of 1. Zoom to extents: Double-click the wheel button. Pan: Press and drag with the wheel button. Pan (joystick): Press Ctrl and the wheel button and drag the mouse. This is used in 3D, although I’m not sure I understand exactly what’s happening. Try it out and see if it’s useful for you. 3D Orbit: Press Shift and the wheel button and drag the mouse. Free Orbit: Press Ctrl, Shift and the wheel button all at once and drag the mouse. You’ll see the 3D orbit arcball as you do this. Do you have any mouse wheel tips? Leave a comment! I have been experimenting with the zoom object command and have come up with some interesting results. In a drawing with only the zoomed-to object, the object displays filling the drawing area vertically when using the zoom object command. If I copy that same object to another drawing (with many objects including database-linked) the object only fills approximately 5% of the drawing area, vertically. Is there a system or drawing variable that can change this zoom factor? I have no problem with the scroll wheel “3rd button”. The problem I am having is with buttons on the mouse (M705 Logitech) are buttons #4,5,6,7,8.To be setup as keystrokes on the keyboard. Richard, I’m not sure how to go about this with the CUI menus, but remembering back in the early days of ACAD (DOS versions), you can assign functions to devices with several buttons by editing the MNU file concentrating on the ***Button and ***Aux section. If memory serves me right, ***Button is for digitizer/tablets with multiple buttons puck, and ***Aux is for other devices which includes multi-button mouse. My zoom wheel does not work at all. I scroll the wheel and nothing happens. Works in 2012 but not in 2013. Cant seem to find a setting to fix this? I have done zoomfactor, mbuttonpan and zoomwheel and they are all at the correct settings. I am used to being able to zoom at will with my scroll wheel on my mouse. This zooming was centered around the curser point, allowing me to click on a spasific point in a drawing and enlarge as much as i needed, keeping the point chosen centre of picture. How do i make this happen and make this a default setting? Recently I had to purchase a new mouse and keyboard as I wore out my previous ones. My new mouse wheel not pan regardless of the variable settings in autocad. 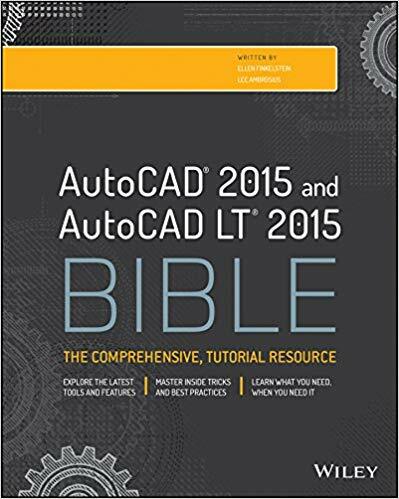 I have found this to be frustrating as it is like learning autocad over again because I have been doing this for over 15 years.